Here's something that I posted before but seems to keep disappearing. It's a brilliant breakdown of the individual tracks from The Rolling Stones seminal "Gimme Shelter," one of my all-time favorite songs just in terms of shear passion. I've posted isolated tracks from this song before but the difference in this video is that most of the individual elements are broken out and soloed in combinations during the song. 1. The vocals really have a lot of reverb on them, although it all disappears in the final mix (which you never hear in its entirety on this video). 2. 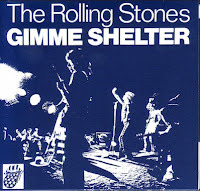 Keith Richard's lead guitar plays through most of the song. You don't hear it in the final mix because it's either lowered or muted. He's also playing out of the pocket in the intro, not that it ever bothered anyone. 3. As the elements are soloed, listen for both the harp (harmonica) and the piano, which are somewhat buried in the final mix. 4. Merry Clayton's solo bridge vocal is still spine-tinglingly excellent all these years later. The fact that her voice breaks just adds to the passion (but it's something we probably wouldn't leave in the track today, unfortunately). Electronic music has been with us for 60 years or so but there was always a human in control. That's no longer the case, as the human musicians are replaced in a configuration called the Automatic Orchestra. 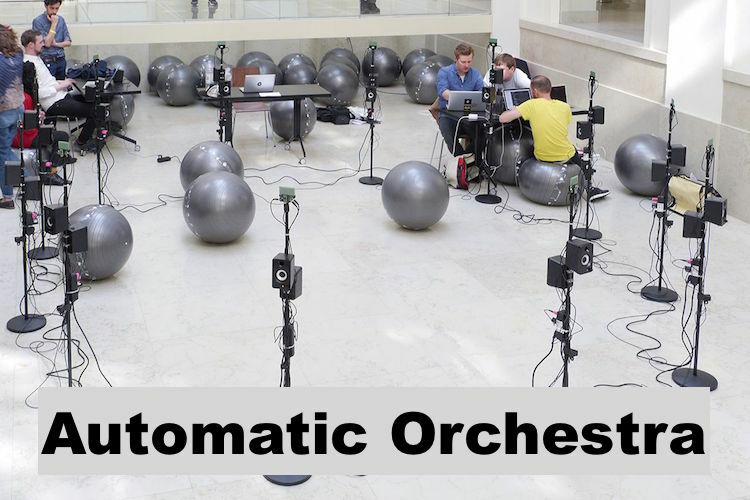 The Automatic Orchestra was designed by a group of students from the University of the Arts in Bremen and the Copenhagen Institute for Interaction Design, and consists of 12 pods, each with a microcontroller that's attached to speakers. All of the pods are connected with one another and data is transferred between them. What you'll hear below starts out with Pod #1 originating the algorithm and then passing the data on to Pod #2, which then adds its own data and passes it to Pod #3, and so on. While that might seem a bit too mathematical to some, there is an element of improvisation that's programmed in, so some pods actually introduce a measure of unpredictability, almost like a human would. Check it out below. What's especially interesting is the dynamics of the piece. The voice is just as much of an instrument as any other instrument in the band. Like the others, it needs regular maintenance to stay in its best shape. 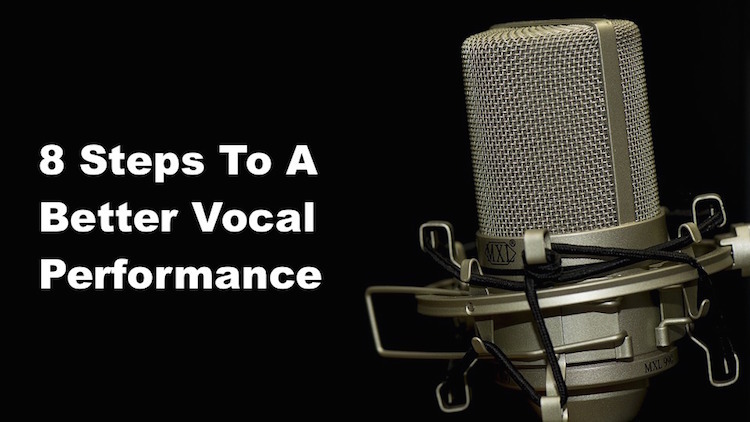 Here are a few tricks compiled from How To Make Your Band Sound Great and The Music Producer's Handbook to not only get the best vocal performances, but to stay away from a sore throat as well. 1. Remember the 3 P’s – Pitch, Passion, Pocket. You need all three for a great vocal. 2. You’ve got to hear yourself at the correct level to stay in tune. Unless you have a lot of experience, you’ll most likely sing sharp if you’re not loud enough, and flat if you hear too much of yourself. 3. Avoid alcohol, dairy products, tea, coffee and cola before recording or a gig. All will make it more difficult to sing by either drying your throat or increasing your phlegm production. 4. Choose the best key for the song. Better to change the key than hurt yourself or sound bad trying to sing something that you’re not capable of. 5. Take care of yourself. Gets lots of sleep and drink plenty of water before recording. 6. Rehearse harmonies without the band first. It’s much easier to learn parts that way. 7. Phrasing is everything in background vocals. Concentrate on the attacks and releases to stay tight. 8. Pay attention to background vocals. If they don’t sound good, then neither do you! Remember: If your throat gets dry while recording, try some warm water, tea with honey and lemon, or Superior Vocal Health's Throat Saver. I've been seeing a lot of instruments on planes lately and there's a reason. 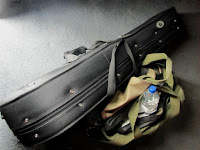 Late last year the U.S. Department of Transportation ruled that musicians who travel on planes must be allowed to carry their instruments on board as long as they fit in the overhead bin. What if the space isn't big enough for the instrument? The musician is permitted to purchase a second seat where the instrument could be stowed. Sounds simple, right? You'd think that airlines would be allowing this all along, but the fact of the matter is that carrying an instrument on board had been at the discretion of the airlines before, which could lead to having to check it as baggage and some disastrous results. Now, if you can carry it on, it should be safe. There is a caveat however. The airlines won't prioritize an instrument over other types of baggage, so you have to be able to get on the plane early to make sure there's space available. The best way to do this is to either enroll in a loyalty program or buy priority boarding so you can be one of the first to board the plane to make sure there's room in the overhead bins. It also has to be one of the your two carry-on items, so the other must fit under the seat in front of you. That said, this is good news in that we no longer have to worry when carrying instruments on a flight (at least in a gig bag). If you like legalese, you can read the full ruling here. Here's a list of the individual airlines instrument policies. Everybody loves the sound and feel of new guitar strings, but they go out of tune so fast. Veteran guitar players and techs know that you have to stretch the strings to break them in, but doing it manually takes so long. That was before this simple device that will stretch your strings so quickly and easily that you'll wonder why no one ever thought of it before. It's called String Strecha. String Strecha is a device that cups under the strings and allows you to give them a pull in one short motion. 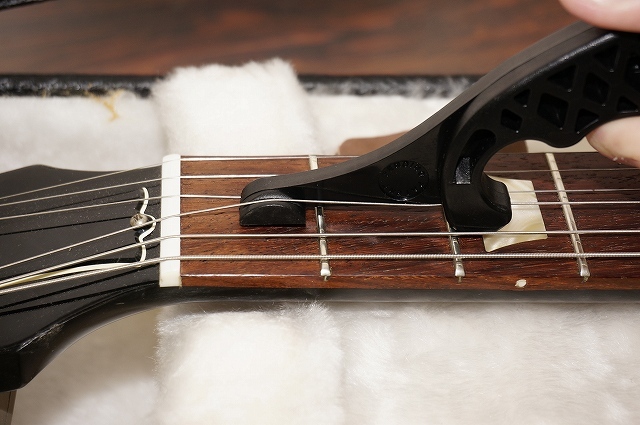 It will allow you to stretch each string by the same amount every time, so there's no over-stretching if you follow the instructions (see the video below). This thing is a favorite of top-flight guitar techs everywhere, and you should have one in your guitar case or in the studio at all times. It's only $14.95, but you can get a couple bucks off on here on Amazon. 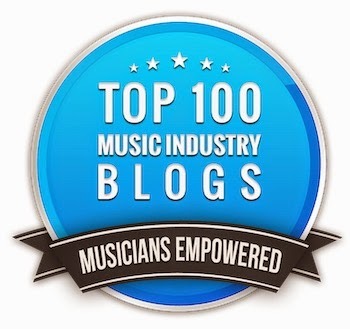 Check out stringstrecha.com for more info. Seriously, this is my favorite new studio tool!